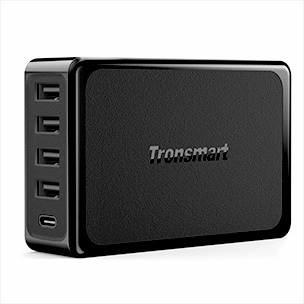 USB Power Delivery is a next-generation charging technology that supplies up to 100W output. 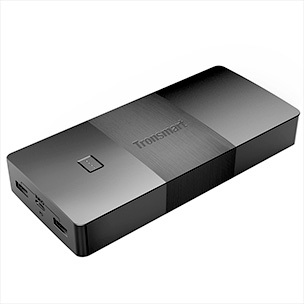 It uses USB Type-C connectors and cables to deliver increased levels of power to operate larger devices, such as your phones, tablets and laptops, and charge them all faster than ever before. 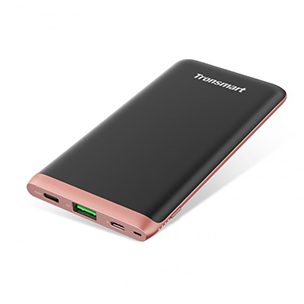 70% faster than 5W charging when charging a Google Nexus 6P or similar device from 0% battery. 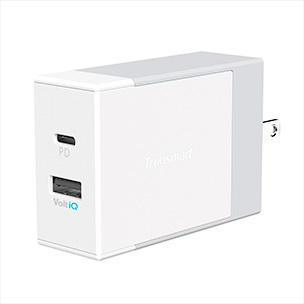 The inbuilt chipset in USB Power Delivery can automatically detect the connected devices and deliver the required power via the USB Type-C cable. 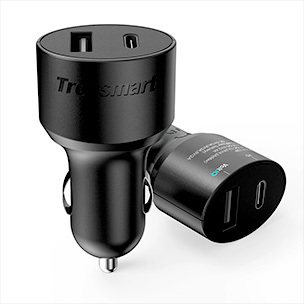 One-stop charging solution for all your devices, and an increasing number of devices are designed to take advantage of Power Delivery. 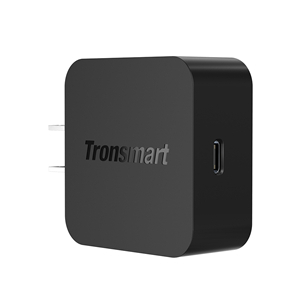 Unlike most Power Delivery chargers, which are only optimized for one device, Tronsmart Power Delivery accessories are designed to deliver the fastest possible charging speed to any USB-C or Lightning devices that support Power Delivery.